Changing Tacks: Lessons I’ve Learned from an Old Wooden Boat, is the story is about my journey to forgiveness — something we all need but find very hard to accept. After 25 years of preaching and teaching, my life fell apart and I fell from grace. Like Jonah, I tried to run away from God, but inside there was a deep ache for the Lord. The gift of an old wooden boat, Santa Teresa taught me about grace and caused me to “change tacks.” The book is a fun read. You’ll learn about the time I inadvertently went skinny-dipping and nearly lost the boat. The famous story about our shipwreck in the Sea of Cortez and how we were able to finally repair the boat and get home. Then there is the tale of my grand-misadventure down the coast of Baja California on a sinking boat. They are all in there and spaced between the adventure stories are “Sermons from Sailing” that outline some of the lessons I’ve learned and can now share with you. 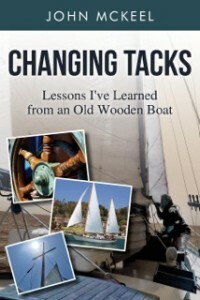 Changing Tacks is available for purchase from Amazon, Barnes & Noble, or directly from the publisher, Crosslink Publishing. It is also available for Kindle (with color photographs). 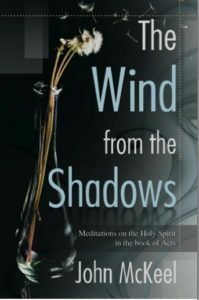 In just six weeks you will discover power, joy, courage, and perseverance as we meditate daily on each of the 45 occurrences of the Holy Spirit in the Book of Acts. Just as you can’t see the wind, but you feel its power, so the Holy Spirit is working in our lives empowering real change, real peace and real power. The key is, just like a sailor watches his sails fill with wind, so Christians must learn to be sensitive to the Spirit’s presence. By special arrangement with the publisher, this book is now available for free as an ebook simply by joining our mailing list.